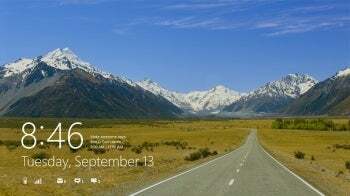 Microsoft is ready to lift the lid on Windows 8 at a preview event at the end of the month. The new OS will be available later this year, not only for PCs, but also for tablets, as Microsoft prepares to take on the iPad. Here’s what we know so far about Windows 8 tablets. Microsoft’s Windows 8 certification requirements note that all Windows 8 tablets must have five hardware buttons: power, rotation lock, volume up, volume down and a Windows key. The minimum specs include 10GB of free storage space, a 720p HD camera and support resolutions at minimum of 1024 by 768 (although, 1366-by-768 pixels will be required for Windows’ side-by-side views). All Windows 8 tablets should have an ambient light sensor (for auto brightness adjustments, most likely), magnetometer (for compass applications), accelerometer and gyroscope (for motion controls). The first wave of Windows 8 tablets will likely run on low-power ARM processors. Why Windows on ARM? The expectation is that ARM processor-based tablets will be better able to compete on price, battery life, and design with the market-leading Apple iPad. Microsoft has been developing Windows on ARM, code-named WOA, which would allow for instant-on capabilities on tablets. Microsoft is working with three ARM licensees-- NVIDIA, Qualcomm, and Texas Instruments--and PCWorld’s Melissa J. Perenson has seen the demos up close from, both at Microsoft’s Build conference and at CES 2012. While ARM-based tablets are expected to be a big push for Windows 8, don’t count out x86-based Intel and AMD tablets: Both chipmakers are readying platforms targeted at tablets for this year. Windows 8 is all about Metro. The Metro user interface, that is. The clean, tile-based interface design from Windows Phone 7 and now Xbox 360 makes the jump to Windows 8. 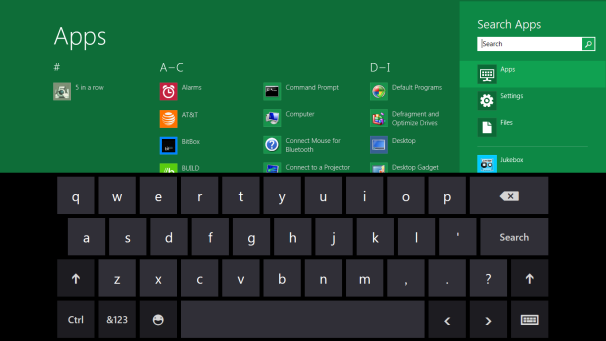 The big tiles are clearly optimized for tablets, as compared with the traditional desktop interface, which relies on window panes, tightly placed buttons, awkward scrollbars, and menu bars. By contrast, Metro apps run full-screen, though you can multitask two with two screens side-by-side by having one occupy the left or right third of your display. PCWorld has an in-depth look at Metro in Windows 8. Windows 8 will have its own app store. Microsoft says it store will help ensure Metro-style apps are better protected from malware, bugs and other typical PC problems. Plus, this will give consumers an easy way to find apps designed for the new Metro world. A few developers have been invited to offer apps during the beta period, and those apps will be free. When publicly launched, though, the Windows Store will have both free and paid apps, starting at $1.49. Unlike iOS, Windows 8 Metro apps will allows app trials in the store, including time-based and feature-based trials. Here’s where Windows tablets gets tricky. In addition to the ARM tablets, x86-based Intel and AMD tablets will be coming out, too. All new Metro apps you buy in the Windows Store will be able to run on any system, including ARM- and x86-based tablets. However, according to Microsoft, Windows on ARM will not support “running, emulating, or porting existing x86/64 desktop apps.” That said, the ARM-based tablets will have some “desktop” features, most notably the concept of Windows’ file Explorer. Windows 8 for ARM devices will also come with Office 15 apps, which are planned to be revealed in a beta later this summer. Office 15 will have tablet-optimized versions of Word, Excel, PowerPoint, and OneNote.